Our service sells our machines! 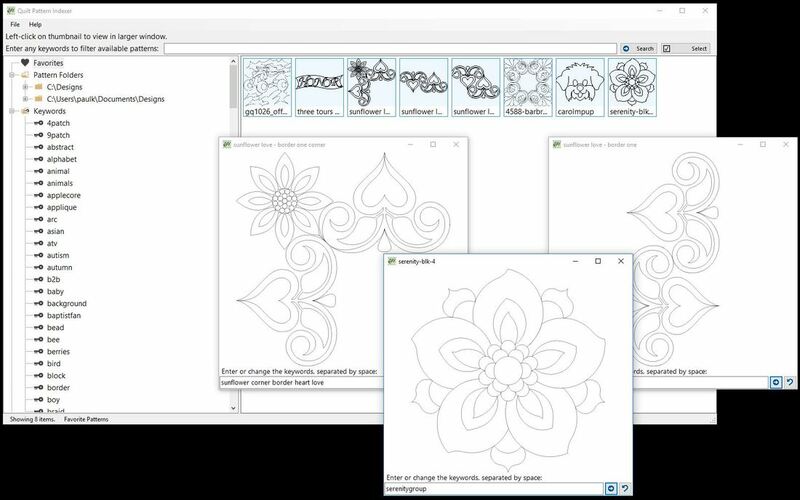 longarm training including in-depth training opportunities on HQ's Prostitcher. We are looking for national installation and service people. This may be a perfect part time activity for your retired spouse. Read about our partner opportunities. We want to know how many people do NOT use Facebook. A new newsletter has been posted. OMNI Thread Club - Order your thread colors this week! Just a friendly reminder to our thread club members to select the cone colors so orders can be processed, otherwise you will be shipped three random colors. We will return on January 8th with some special gifts for our friends. If you are of the Christian persuasion and followed our trip to the Holy Land, we offer you this free gift. Please add it to your next order. ONE PER CUSTOMER. The pendants have touched the shores of the Sea of Galilee, and traveled with on to the Jordan River, Jerusalem and Bethlehem. You may request one free pendant that was brought home from Israel on our trip. These pendants were picked up at the sea of Galilee just north of Tiberius and was carried down to the river Jordan, Jerusalem, and Bethlehem. There are only 10 of each style. If you order this before we return on January 8, the whole order will wait to ship until we return. 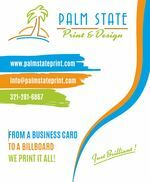 Thank you for being our loyal customers. God bless. Now posting used machines - "MK Match Making"
No space for a table? 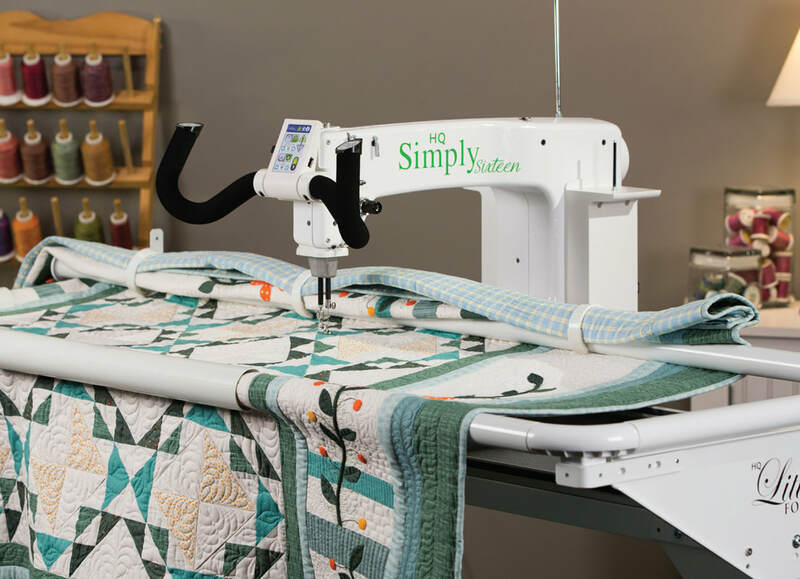 Get started in quilting with an HQ Simply 16 on a 5 foot Littlefoot frame for only $5995 MSRP. Includes stitch regulation and many extras to get you started. Go to MK's YouTube channel to review all of her past videos. The MK Quilts Newsletter is NOT the same as the MK Quilts Cruises Newsletter. If you are interested in our annual quilters cruises, please go to that page and sign up. Use the menu at the top or 'hamburger menu' on your phone or tablet to navigate the website. MK Quilts is an authorized Handi Quilter Retailer. Please support MK's efforts in the community by buying your next Handi Quilter machine or anything you see on the HQ site from MK Quilts. 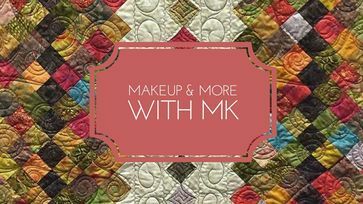 ​Makeup & More With MK is another passion of Melissa's. Click on the picture to go to her special SeneGence page to learn more. GIFT CERTIFICATES ARE NOW AVAILABLE!